Ideal Developments is a real estate developer that strives to make a difference, and they have already accomplished that goal in a variety of ways. They’ve built a variety of projects throughout the Greater Toronto Area, but they’ve also made a huge impact on the international community. In each one of their projects they search for ways in which they can implement environmentally sustainable features. They have also begun a pursuit of philanthropic efforts with their opening of Ideal Hope, a foundation that is impacting lives all over the world. This developer has built multiple communities throughout the GTA, from low-rise housing to high-rise condos. They are a full-service company who can oversee land development, site acquisition, design, securing city approval, construction, project marketing and sales. They are a company who is unbound to geography, as they currently have projects in various stages of development in downtown Toronto, Richmond Hill, Mississauga, and Markham. They focus on creating luxuriously designed buildings that are available at affordable prices. They do this by honing in on every aspect of neighbourhood planning, land acquisition, community vision development and applying their own flair on homes with their architecturally distinct designs. This company takes its role as a developer very seriously and therefore takes a leadership position as a sustainable developer. They aim to exceed the Ontario Building Code Standards, and in doing so, build homes that save their home buyers money on utilities. They know that to accomplish their goal of building eco-friendly developments, they need to form a unique team of experts. The successful composition of this team will ensure social, environmental and economic returns. They take a strategic approach to building sustainable projects by implementing state-of-the-art products in their homes. These products include Heat Recovery Ventilators, thermally insulated main entry doorways, Energy-Star qualified appliances, water-saving shower heads and low-flush toilets. In addition to making an impact on our global environment, this developer is affecting change in the developing world. Their Ideal Hope Inc. foundation works under the belief that a comfortable home is a human right. They create decent, safe, affordable housing and communities throughout the developing countries. They also encourage the residents of these communities to leverage their strengths to help their newly built communities to be stronger. Their goal is that by building these communities they will give hope, security, freedom and dignity to people in developing countries. This developer is working to transform the world around them. They are doing this by creating luxurious but affordable low-rise homes and high-rise condos. They are also taking a leadership role in building sustainable housing throughout the GTA Area. By implementing a variety of eco-friendly features in their homes, they’re making sure they’re doing their part to save the earth, as well as some money for their homeowners. They understand that it’s important to give back, which is why they’re building homes for the less fortunate throughout the Developing countries. We’re happy to have this developer in the community because we know as long as they’re here, the city will be a better place. This low-rise community offers residents a chance to live in luxury townhouses. 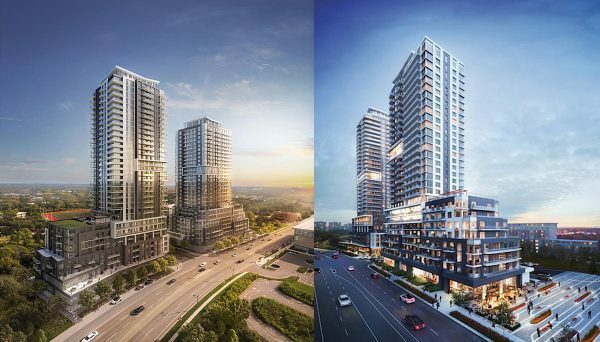 Its location is perfect as it is only seconds away from schools, parks, ravines, and the 401 Expressway, which gives homeowners a direct lifeline to downtown Toronto. It is also a ten minute drive away from the University of Toronto Scarborough Campus. This project emphasizes community living as it has a central playground, meeting place and heated underground parking spaces. It is located along Markham Road and construction was completed in 2013. This is a development of single-family homes that offers prospective home buyers the chance to live in French Chateau inspired homes. 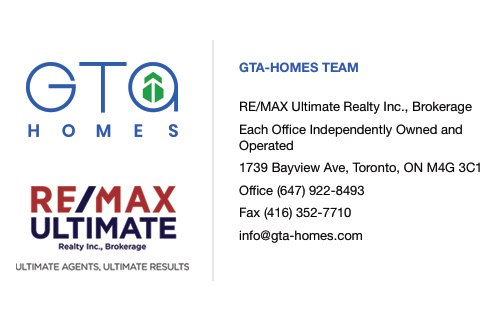 They are located in Southern Markham, and are located in the midst of schools, parks, golf courses, theaters and the Ontario 401 Expressway, so the entire GTA is at your doorstep. The houses are outfitted with open-concept layouts, oversized kitchens, grand family rooms, magnificent bedrooms and spa-inspired ensuites. These homes are true head turners. These beautiful estates are located between 5002 and 5014 on 14th Avenue in Markham.